From world-class players to major international tournaments, AJ Bell’s name is now inextricably linked with top-flight squash. 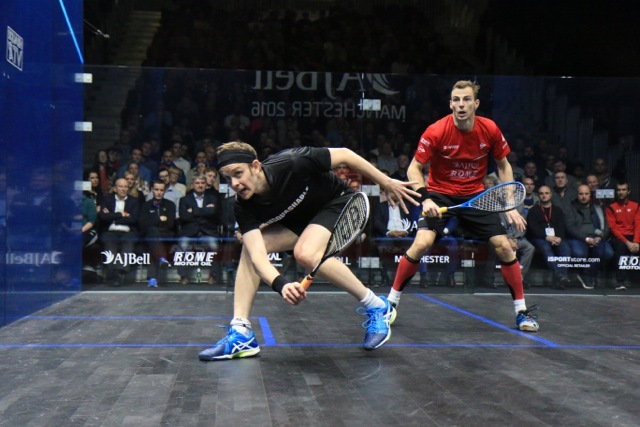 AJ Bell's association with top-level squash began in 2013 with the Men's AJ Bell PSA World Championships in Manchester. From 2014 to 2016 we sponsored the AJ Bell British Squash Grand Prix, and in 2017 we put our name to the AJ Bell European Individual Closed Squash Championships in Nottingham. Later that year we once again supported the biggest squash tournament on the planet; the AJ Bell PSA World Championships 2017. We are proud to have worked with some of the top names in world squash over the years. Find out more about them below. 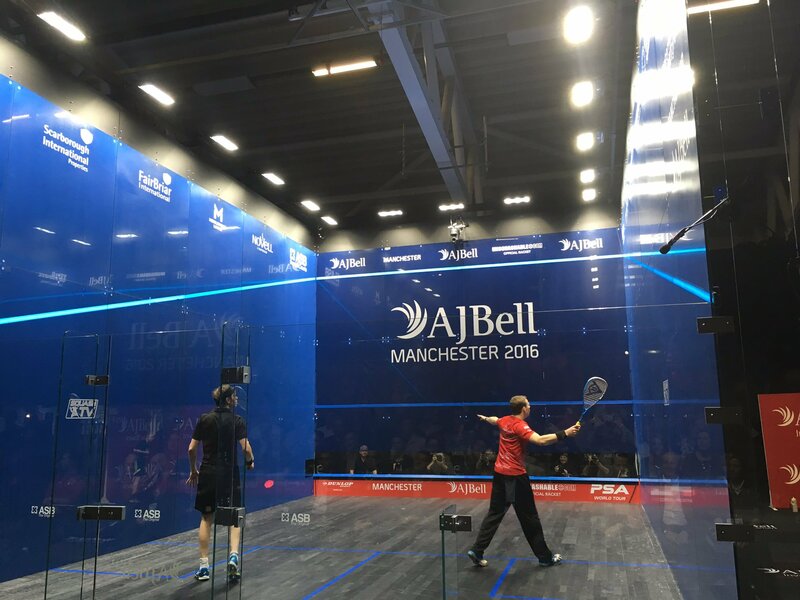 AJ Bell is extremely proud to be an official sponsor of Nick Matthew - the most successful English squash player of all time. 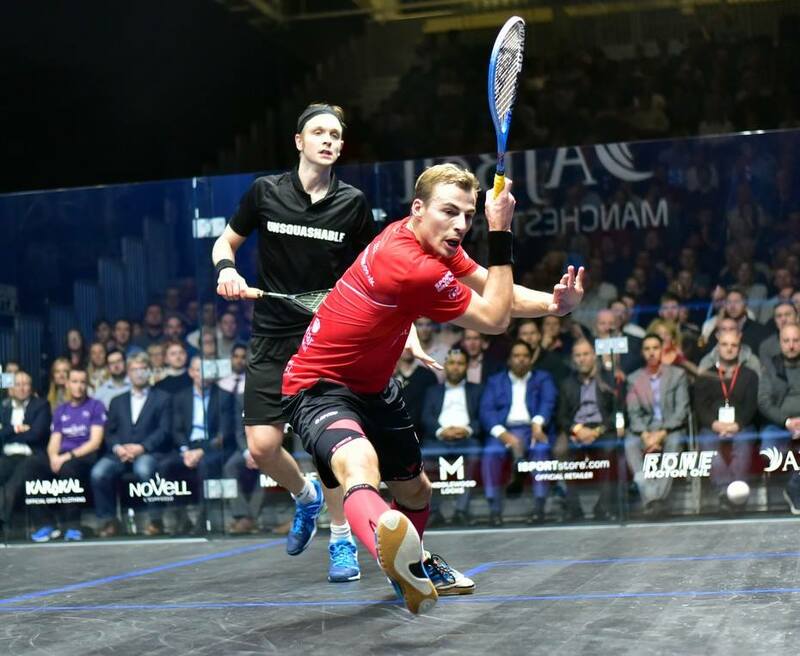 Since turning professional in 1998 Nick has continually broken records, becoming three-time World Champion, three-time British Open Champion, three-time Commonwealth Games gold medallist and the holder of nine national squash titles. To cap it off he has also been awarded an OBE for his services to squash. 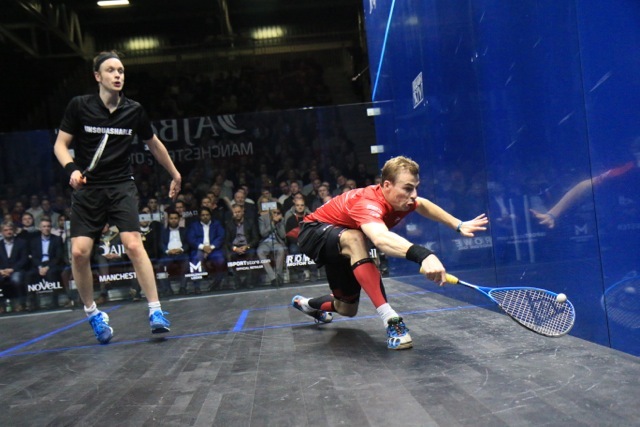 Nick retired from the professional tour in 2018 but remains in the game, working as an ambassador for England Squash and also the Nick Matthew Academy, which he set up in 2015. AJ Bell was also delighted to have worked with Laura Massaro as part of the AJ Bell PSA World Championships 2017. Laura achieved the World Number 1 ranking in January 2016, has been crowned World and British Open Champion, and was a double silver medallist at the Commonwealth Games in 2014. Be sure to follow the @AJBellGroup Twitter account for regular updates from all of our sporting partnerships.